As with any master’s degree, obtaining a master’s in psychology is a tremendous accomplishment, opening the door for increased opportunity in the job field and preparing individuals with an extremely valuable skill set. Although obtaining the degree is definitely a challenge, motivated individuals can take advantage of the best master’s in psychology programs to accelerate study or tailor an advanced education to their specific needs or situation. You may already be working, have to care for family, live in a geographically remote area, or simply want to personalize your study. Any of these factors is a great reason to consider schooling through some of the best online and on-campus universities in the world. Psychology is a field that allows you to help other people. By understanding how people think and feel and how that relates to behavior, professionals in psychology can improve the way others live while bringing greater fulfillment into their own lives. Other reasons you might consider a masters in psychology is the great job outlook, increased salary, and the opportunity to work as a freelancer or from your own home. Anyone who has already completed a bachelor’s degree in psychology is eligible to pursue a master’s degree in psychology, which presents a great challenge and opportunity for motivated and talented individuals. Although the decision to pursue a master’s degree is a phenomenal choice, choosing where to go to school can be extremely difficult. Thousands of schools offer master’s programs, but how do you know which provides the best value and fulfills your personal needs? We’ve developed a list of the best masters in psychology programs in the world considering the factors most important to potential students. We realize you want a quality education, with flexible options, and at a great cost. That’s why we’ve found the best choices for online and on-campus schooling and have ranked them according to total value. If you’re considering pursuing a master’s degree in psychology, you definitely need to take a look at the schools on the following list. Located in Clarksville, Tennessee, Austin Peay State University is one of the fastest growing universities in the state. This university offers an online master’s degree in Industrial-Organized Psychology. The 34 credit hour program has a practitioner as well as research focus which allows students to jump into the work field, or take the next steps towards a doctorate degree program. The quality of the online program is equal to that of the program on the actual campus, pushing students to reach their potential, but also providing for success. A few of the subjects covered in this rigorous program include personnel selection and assessment, training and development, performance management, motivation, team performance, and leadership. At Midwestern State University, graduates of the Masters in Clinical/Counseling Psychology (MACCP) are eligible to sit for licensure as either professional counselors, psychological associates, or both. Midwestern’s MACCP program is one of only two Texas programs nationally accredited by the Masters in Psychology and Counseling Accreditation Council. The student-faculty ratio at MSU typically ranges from 5:1 to 3:1. As a result, students receive considerable one-on-one instruction from faculty members. Angelo State University offers an online Master of Science in Applied Psychology degree. Each of the core classes is taught by experienced faculty members all holding a doctorate degree in the field. Angelo State is located in the Texas town of San Angelo and currently serves nearly 10,000 students pursuing one of its over 130 degree options. The applied psychology program does offer the option of taking some program courses on campus if desired. The program focus on helping students to solve actual problems with practical solutions in order to improve health, increase safety, improve education, enhance decision-making and promote democratic principles. The Master’s degree in Psychology at Duke University is not a terminal degree – meaning it won’t stand alone. Students wanting to pursue a Master’s in Psychology will have to go on to get their Ph.D. as well. There are five graduate training areas that students can be admitted to, including Clinical Psychology, Cognition and Cognitive Neuroscience, Developmental Psychology, Social Psychology, and Systems and Integrative Neuroscience. The program is designed after the apprenticeship model, so students will work closely with one or two faculty members for the duration of their studies. This program is not offered online, and students are expected to study full time. Emporia State University perhaps provides the greatest amount of academic diversity in the field of psychology out of any school on this list. 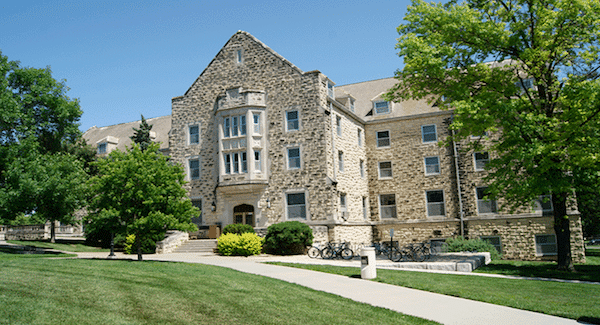 The Emporia, Kansas school offers three different master’s degree programs in psychology including, M.S. in Clinical Psychology, M.S. in Industrial-Organization Psychology, and M.S. in School Psychology. Each of the programs prepares students to begin careers in the specified field sector, or continue on towards doctorate programs of the same area. All programs also offer ample opportunity to work on research with experienced professors and gain real-world experience. The University of North Dakota‘s M.S. in Forensic Psychology is designed for working professionals who are unable to complete a full-time, on-campus program. All courses are available online, the program requires 2 years to complete, and students will only need to visit campus once for a week-long capstone experience. UND also offers an M.A. in Forensic Psychology and an M.A. in Psychology. The online master’s in psychology program from Eastern Michigan University is perfect for anyone looking to work in psychology in the area of education. EMU offers a 30 credit hour M.A. in Educational Psychology degree. The program branches off into two different concentrations which are developing learners and research and assessment. Both programs are rigorous and prepare students well for transition into a career with a culminating seminar and either a thesis or final project. The developing learner concentration is available 100% online, however, the research and assessment concentration requires a mix of online and in-person instruction. Students may receive an M.S. in Health Psychology from the University of Wisconsin – Milwaukee. It is the only terminal master’s degree offered, but UWMilwaukee’s doctoral program includes a master’s degree in Psychology if students are looking to complete both. The M.S. can be completed in 2 or 3 years of full-time study. Students are allowed to be part-time students in the program as long as they finish the course requirements within seven years of their initial enrollment. Edinboro University of Pennsylvania is located in its small-town namesake Edinboro, Pennsylvania. This university is another institution offering a top-level master’s in educational psychology degree. The degree consists of 30 credit hours with both theoretical and practical courses in both education and psychology. One great support for online students is that upon admission to the program, they will be assigned an academic advisor to assist in both academic and career planning. The program does culminate with a final comprehensive exam available completely online. Georgia State University offers several Masters & Specialist programs in psychology including Mental Health Counseling (60 credits), Clinical Rehabilitation Counseling (60 credits), School Counseling (M.Ed. – 60 credits or Ed.S. – 30 credits), and School Psychology (36 credits). Those wishing to take the Mental Health Counseling route should know that it is not designed for part-time students and should be completed over the course of 6 or 7 semesters of full-time study. The Master’s degree in Psychology at ULM offers students three tracks to choose from: the General, Psychometric, and Forensic track, all of which require 36 credit hours. The majority of required courses are offered online, and the Forensic track is offered completely online. However, students who graduate from this program will not be eligible to become licensed counselors. Students who wish to become counselors should look into ULM’s M.S. in Counseling degree. Kansas State University located in Manhattan, Kansas offers a professional and terminal degree in psychology which caters to students hoping to enter the work field upon graduation rather than continuing their studies. The online masters in industrial and organizational psychology from KSU is made up of 38 credit hours offered in a hybrid format of both online and on-campus classes. Although some campus attendance is required, it only takes about two weeks in the summer with the rest of the time earning the degree spent online. The program uses online coursework, guided research, and practicum to develop students into capable psychology professionals. The University of Nevada Las Vegas is another university with an online psychology program focused on the classroom. The master’s in educational psychology is made up of 34 credit hours of asynchronous courses allowing students total flexibility. Another way students of this program enjoy flexibility is through a large number of elective courses, allowing students to customize their degree based on their interests and future plans. Although all students in the program will have to complete a final comprehensive exam, they can choose from either a non-thesis or thesis track at the end of the program. The M.S. 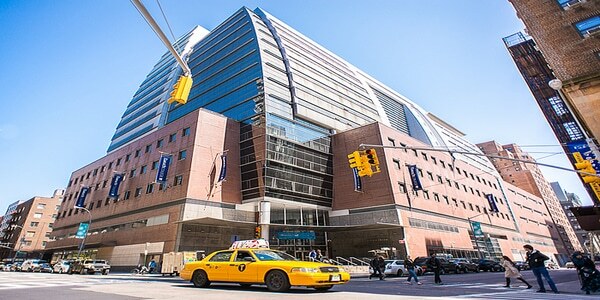 in Industrial/Organizational Psychology at Baruch College is tailored to fit the needs of the full-time student as well as the part-time working professional. Every class is offered in the evenings and add up to a total of 36 required credits, half of which are electives so students can tailor their degree to their specific educational desires. Several examples of offered electives include Performance Management, Motivation, Training and Development, Survey Research in Organizations, and others. Frostburg State University’s MS in Counseling Psychology was the first counseling psychology master’s program in Maryland and only the sixth nationwide to receive accreditation from the Master’s in Psychology Accrediting Council. The program can be completed in three years – two in classroom study and one in an internship. Students will study topics such as Multicultural Counseling Techniques, Adult Psychopathology and Small Group Dynamics/Group Counseling. The student-to-faculty ratio is 10 to 1. Albizu University, Miami campus, offers Bachelors, masters, and doctoral degrees in psychology with an emphasis on cultural and ethnic sensitivity. You can explore your particular interests through a wide choice of specializations, including mental health counseling, school counseling, and marriage and family therapy at the master’s level; industrial and organizational psychology at the master’s level which also has the option to be done fully online; and clinical psychology at the doctoral level, with concentrations in forensic, general, neuro-, health, and child psychology. AU is accredited by the Middle States Commission on Higher Education and the Florida Department of Education Commission for Independent Education. The Psy.D. In Clinical Psychology programs are further accredited by the American Psychological Association. AU programs provide you with small class sizes and personalized attention from faculty. The majority of AU professors practice within the field, enabling them to bring real-world examples to the classroom. The master’s and doctoral programs partner with over 100 practicum sites in the community, offering you exposure to a wide range of psychological disorders and clinical environments. This university also has the unique focus of creating not only capable graduates but culturally sensitive individuals as well. The University of Houston-Victoria offers three different graduate programs in psychology including two different master’s degree programs. The first is a Master of Arts in Counseling Psychology degree, and the second is a Master of Arts in Forensic Psychology. Although mainly online, these two master’s degrees do include four or five classes taught on campus throughout the course of the program. Both programs require between 60 and 63 credits to graduate, which include practicum requirements. Students can start during Spring, Summer, and Fall Semesters and will complete the program in about two years. Psychology was introduced as one of Arizona State University‘s earliest disciplines and was the first psychology department in the United States to start a program that would specialize in behavioral research, theory, and applications. 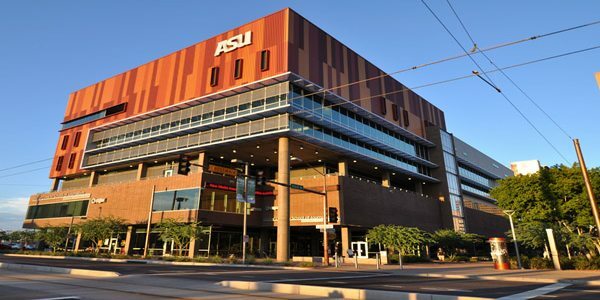 The psychology master’s degree at ASU is in Applied Behavioral Analysis (ABA) and is the only known classroom-based masters program at a Research I University to provide a BACB-approved curriculum for certification plus more than 1500 supervised practicum hours required for state licensing in Arizona. As students are finishing up their degree there is a final presentation of each students’ year-long Capstone Projects at a region-wide career event to celebrate the program’s rising graduates. Nova Southeastern University is an independent, not-for-profit institution that offers master’s degrees in Counseling, Forensic Psychology, Experimental Psychology, and General Psychology, as well as a Specialist Program in School Psychology. Counseling, Forensics, and General Psychology degrees are offered online. Admissions may require an undergraduate or masters degree in psychology, education, behavioral science, social work, or a related field; letters of recommendation; GRE test scores and a short essay. Golden Gate University, in downtown San Francisco, is a great school for adults returning to study and earn a degree later on in life. The school mainly focuses on business and administration type programs but does offer an online master’s degree in industrial and organizational psychology. One unique requirement of this program is the completion of an internship at some point during the program. This real-world experience falls in line with the school’s aim to create leaders in the field of psychology. 36 credit hours are required to graduate and include courses in things like Managing People in International Settings, Human Resources Management, Group Dynamics in Organizations, Leadership, Organizational Change, and Conflict Resolution. Xavier University offers students the chance to receive a master’s degree in either General Experimental Psychology (45 total credits) or Industrial-Organizational Psychology (43 total credits). Both programs require two years of full-time study, an internship, and a thesis. Students in either program will need to demonstrate proficiency in a computer language (usually SPSS). Touro University Worldwide was established to provide accessible high-level education for people all over the country and beyond. One of the many programs Touro offers is an online Master of Arts in Psychology. The degree approaches psychology more generally than other master’s degree programs allowing students to gain education and experience in several subfields in preparation for further studies. 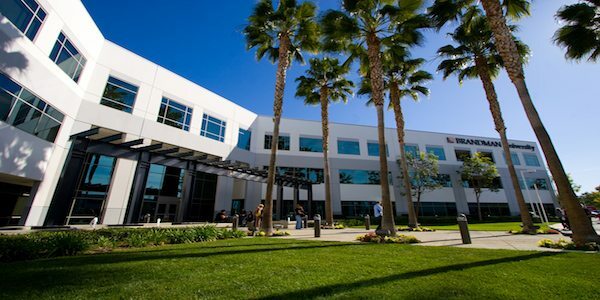 One of Touro University’s aims is to make schooling feasible financially and thus provide scholarships exclusively available for online students along with other discounts for veterans, active military, and their families. At Medaille College students have the opportunity to get their master’s degree in psychology online or on the Buffalo campus. The program is a total of 36 credits with a new (but optional) Sports Psychology concentration and takes about one year to complete. Students can control their pace and may take between one and four seven-week courses each semester. The University of Delaware offers a Masters in School Psychology that prepares graduates for professional certification in school psychology. Since the program is approved by the National Association of School Psychologists (NASP), students who complete it will qualify for a school psychology certification in Delaware and most other states. The EdS is also available to graduate students who successfully complete the MA in School Psychology at UD. It is a 60-credit program which includes a one-year (30 hours) Master of Arts degree, followed by an additional 30 credits leading to the Educational Specialist Degree in School Psychology. Overall, the coursework and associated fieldwork account for 54 credit hours (approximately two years of full-time study). The remaining 6 credit hours are devoted to a supervised 1,200-hour internship. Students are required to study full-time. The Master of Arts in Psychology, Counseling at Brandman University helps students meet the education requirements for licensure as a Mental Health Counselor in Washington State, membership in the National Board of Certified Counselors and membership in the American Psychological Association. The program is available online. 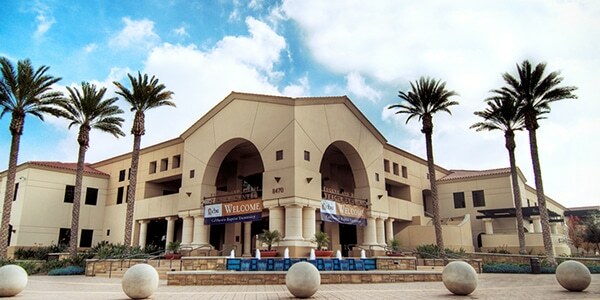 California Baptist University‘s online Master of Science in Counseling Psychology program is designed to prepare students to meet the current requirements for licensure in the state of California as a marriage and family therapist or licensed professional clinical counselor. The program can help students who want to enter the field of marriage and family therapy or professional clinical counseling and will provide them with a firm understanding of psychological science from a distinctly Christian worldview. Students can complete the program in approximately 24 months. 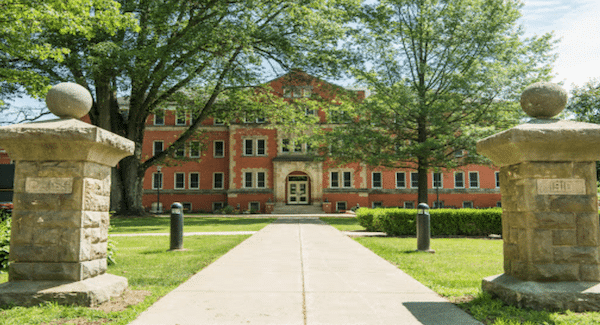 For someone looking to complete a low-residency degree, but still maintaining a connection to campus, Goddard College could be the perfect fit. The Master of Arts in Psychology program is based on a low-residency model which allows students to spend the majority of time in the program working independently, but also participating in a once-a-semester, eight-day residency. Time during the residency period is spent attending seminars, group and personal advisement sessions, and workshops. While working independently, students still have access to a faculty advisor and course mentor. North Central University makes it easy for students to begin studying with program start dates every Monday. The entire master’s in psychology program takes about eighteen months to complete and includes a total of between ten and twelve courses. A unique feature of the program is its one-to-one teaching model. North Central offers two different specialization tracks within the program which include gender diversity and general psychology. NCU seeks to develop students with sharp problem-solving abilities, teaching them the necessary skills, then pushing students to apply their education to overcome real difficulties in the field. Southwestern Assemblies of God University (SAGU) offers an online Masters degree in Clinical Psychology for students who are interested in counseling but want to consider alternative degree paths and careers that don’t necessarily require licensing. Courses are offered online, on campus, or in the evenings to meet the demands of a busy schedule. Students can expect to study areas such as Behavioral Sciences, Psychotherapy, Methods and Techniques in Counseling, and Human Growth. Saint Louis University offers students an M.S. in Clinical Psychology (84 total credits), Experimental Psychology (59 total credits), and Industrial-Organization Psychology (73 total credits), but students must continue on to receive their doctoral degree. Terminal master’s degrees are not offered in any of the before-mentioned areas, though students already with a master’s degree in those areas may apply for the Ph.D. program. Palo Alto University in California uses a mix of technological approaches to provide a top-tier distance education experience. Through asynchronous seminars, independent study and synchronous class discussions, online students can complete the entire master’s in psychology program within two years, even studying part-time. 46 credit hours are required for graduation, however, students do not have to complete a thesis at the end of the program. All classes are completed online except for a campus intensive during the first summer in the program. After that, two to three courses are taken each quarter fully online. Washburn University offers students a quality masters degree in Clinical Psychology. Students in the program come in contact with clients from the very first semester, and receive clinical supervision from the same faculty who teach their courses in the training clinic. On top of that, Washburn University guarantees their students an internship during their time in the program. Upon completion of the program, students are immediately eligible for licensure in Kansas as a Temporary Licensed Master’s Level Psychologist (TLMLP). A full-time student can finish the degree in two years. Texas A&M International University is a great resource for students who want to work with Spanish-speaking clients. Since TAMIU is located in a border city, Laredo, Texas, students in their MS in Psychology or MA in Counseling Psychology programs have access to Spanish-speaking populations and have the opportunity to pursue a bilingual (Spanish-English) counselor certificate. Students will study topics such as Research Design and Statistics, Cognitive Science, and Human Memory. The University of Liverpool is an international university based in Liverpool, England that is extremely well known for its academic excellence and successful graduates. This university offers three different options of online master’s in psychology. Students may choose from a master of science in organizational and business psychology, mental health psychology, or just psychology, generally. The university also offers a postgraduate certification in psychology which consists of the first four modules of the M.S. in Psychology. Each master’s degree takes about two-and-a-half years to complete. The Chicago School of Professional Psychology has an exceptionally extensive offering of online psychology master’s programs. Each program is offered fully online with a focus on integrating theory and practical hands-on experience. The school also has seven metropolitan locations. This school provides very high-quality education in every possible area of psychology with concentrations as well as full degrees in things like forensic psychology, international psychology, applied behavior analysis, and organizational leadership among others. For students willing to invest more in their education this school is an incredible option and is a great place to start for any masters degree in psychology. The University of Southern California provides an online master’s degree in psychology that may take the least amount of time to complete out of any program on this list. The online master’s in applied psychology can be completed in less than 16 months for the motivated individual. The program has two concentration areas for students to choose from including organizational and industrial psychology and consumer psychology. Both degrees prepare students for a number of different careers. The aim of the program from USC is to give students the tools and understanding they need to innovate any field that interests them. 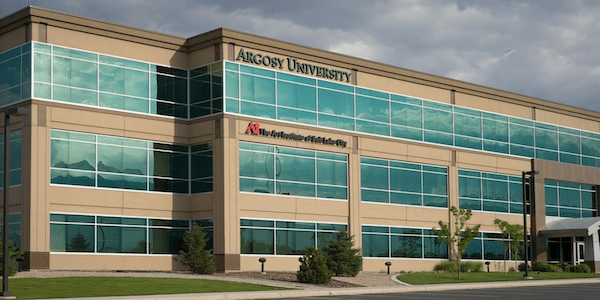 Argosy University allows students to pursue psychology careers in the criminal justice and civil legal systems. The online master’s in forensic psychology trains students to develop skills in clinical psychology, counseling, school psychology, and neuropsychology in order to have success in consultation, assessment, and intervention. Concentrations within the program from Argosy include Assessment and Treatment, Homeland Security, Law Enforcement and an additional Forensic Psychophysiology Track. Graduates from Argosy are extremely well prepared with the experience and skills to help others in interpersonal interactions. Southern New Hampshire University has one of the largest online student populations out of any university in the country. Although on campus, the school only serves about 3,000 students, around 60,000 distance learners take advantage of the university’s online programs and resources. For online learners interested in psychology, SNHU offers a general Master of Science in Psychology, which is a non-licensure track. The university does, however, also offer career-relevant degrees with concentrations in Industrial-Organizational Psychology, Forensic Psychology, and Child & Adolescent Development Psychology. Fort Hays State University was founded in 1902 and gives students several options for pursuing a degree in Psychology. Be aware that several options are offered only on-campus and some are only online. Full-time study is recommended and several programs can be completed in as little as two years. Naropa University, located in Boulder Colorado offers a unique online master’s in psychology degree program. The program from Naropa is an integrated psychology-ecology degree labeled Ecopsychology. This unique offering is a hybrid online-residency program requiring students to take two courses on campus each summer and then two courses online each fall and spring. 38 total credit hours are required for graduation with courses including things like transpersonal psychology and contemplative practice as well as intellectual and service-learning projects. Clayton State University‘s Master of Science in Clinical/Counseling Psychology requires students to complete a minimum of 60 hours of coursework, including the completion of a professional paper or thesis capstone experience. On top of classroom learning, students must complete a 9-month, supervised clinical training experience that commences at the beginning of the second year in the program. The practicum provides students with supervised clinical training experiences at outpatient or residential mental health treatment sites. This program will help students develop skills in psychological assessment and in a variety of therapeutic modalities, including adult and child individual therapy, family, couples, and group therapy. The University of Memphis, in Tennessee currently serves a student population of 20,000 from both on-campus and online learners. The master’s degree program from Memphis is educational psychology made up of 33 required credit hours. Through a combination of higher-level courses and electives, students are prepared with a strong foundation in a wide variety of psychology fields. Both prepare students either to jump into the workforce or pursue higher studies in a specific area of interest to them. The program takes about two years to complete with start dates in both Fall and Spring. The online master’s in psychology program from the University of Idaho initially started as interdisciplinary endeavor between the department of psychology and the college of engineering. The unique degree is a Master of Science in Psychology: Human Endeavors, which explores how computer science, design, and engineering affect human behavior. 30 required credit hours with courses in cognitive psychology, ergonomics/biomechanics, human-computer interaction, and factions in engineering design among others make up the program. Harvard University is undoubtedly one of the most widely-recognized post-secondary institutions in the world thanks to its incredible academic excellence. The online master’s in psychology program from Harvard is mostly online, though does require students to complete at least three courses on campus. The 36 required credit hours can be completed in about two years of study and graduates are ensured an extremely respected degree. Course instruction is a mix of synchronous and asynchronous classes creating a balance between flexibility and student engagement and connection with faculty. Students at Fresno State can get an MA in General/Experimental Psychology (30 minimum credits), MA in Applied Behavior Analysis (ABA)(44 minimum credits), and an Ed.S. in School Psychology (69 credits). The Master’s of Arts degrees take 2 years to complete and the Ed.S. takes three years to complete. One of the strengths of Fresno’s graduate programs is the close relationship between faculty and students: usually, a graduate student is the only student—or is one of two or three—with whom the faculty member works. This provides students with the rigorous and personalized training experience needed to accomplish their goals. East Carolina University is the second-largest constituent institution of the University of North Carolina system. The campus is located in Greenville, North Carolina and offers students the option of a Master’s concentration in Industrial/Organizational Psychology (45 credit hours) or a Master’s degree with a Certificate of Advanced Study (MA/CAS) in School Psychology (69 credit hours). Students can only be admitted to start either program for Fall semester, and full-time study is required. The University of Tennessee rounds out this list as another school offering an online master’s in educational psychology. The program consists of 36 credit hours completed online, however, the courses are delivered synchronously, somewhat limiting the flexibility of when students participate in classes. Two program concentrations are available, which are adult education and applied educational psychology. Although the school does provide start dates in Spring, Summer, and Fall, students are only allowed to take classes on a full-time basis. If you’re interested in any aspect of Psychology for a profession or a further study, any of these schools included on our list is a great option for a masters degree in psychology or a doctoral program in psychology. We’ve hand-picked the schools providing the best education at the best value considering factors like cost of attendance, student resources, educational quality, and flexibility. We know that finding the best school to fit your unique needs can be a huge challenge. For that reason, we work hard to develop lists of the best schools based on the characteristics most important for you. Whether that be cost of attendance, student success, resources available, flexibility of schedule, or any other number of important factors, we’ve got you covered. For more information about our ranking process and to find lists of schools based on specific characteristics, check out our methodology page. If your masters in psychology program isn’t on this list but it deserves future consideration, please reach out to us today! We’re constantly looking for the best schools, providing the greatest value. *Our Best Master’s in Psychology Programs of 2017 guide has been updated.